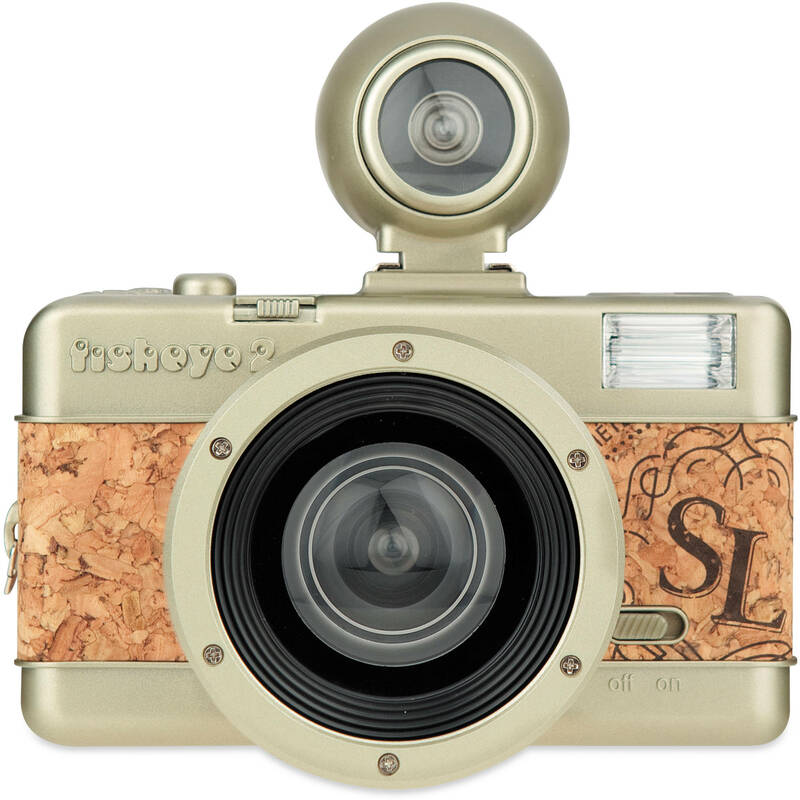 The "Brut" beige and cork-colored Fisheye No.2 35mm Camera from Lomography is a compact 35mm film camera that features a plastic 10mm fisheye lens with a fixed f/8 aperture for producing a distorted circular image on a rectangular frame. This camera has an extremely wide field of view of 170° which means that you will easily be able to capture your subject within the frame. The No.2 even comes with a removable fisheye viewfinder that helps with framing your images and has a full metal exterior. The camera has a shutter speed of 1/100 second for use in most shooting conditions as well as a bulb mode for long exposures. Additional features include a multiple exposure option and a lock setting. The Fisheye No.2 also has a built-in electronic flash to help in low-light and a hotshoe mount. The camera is capable of first and second curtain synchronization when using both the built-in and external flashes and the flash is powered by one AA battery. The "N" setting will fire both the hotshoe and internal flash upon press of the shutter button for first curtain sync and the "B" setting will fire the hotshoe flash on first press and the internal flash on release.